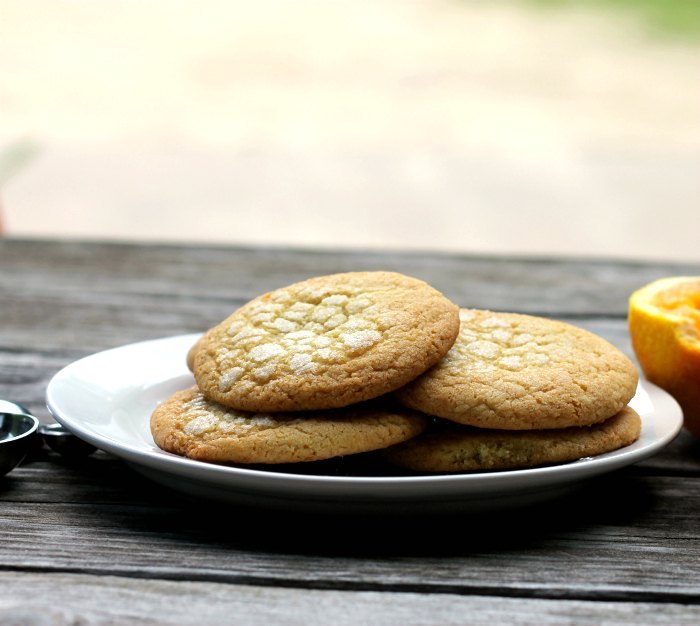 Orange ginger cookies, I love these cookies with the taste of orange and a hint of ginger, so yummy. I have been in kind of a citrus kick of late. Yeah, I know that it is summer and there are all kinds of summer fruit there right now. But, for some reason I have been craving the citrus. Not that I am not eating my fair share of the summer fruit right now, but I love the flavor of citrus in baked goods. Cookies are another thing. If you stop by my house you will probably find cookies, probably in the freezer or maybe the kitchen counter. My guys do like their cookies. They usually pack a few in their lunch for work each day. I probably make chocolate chip cookies most of the time, but there are times that I do like to shake things up a bit. 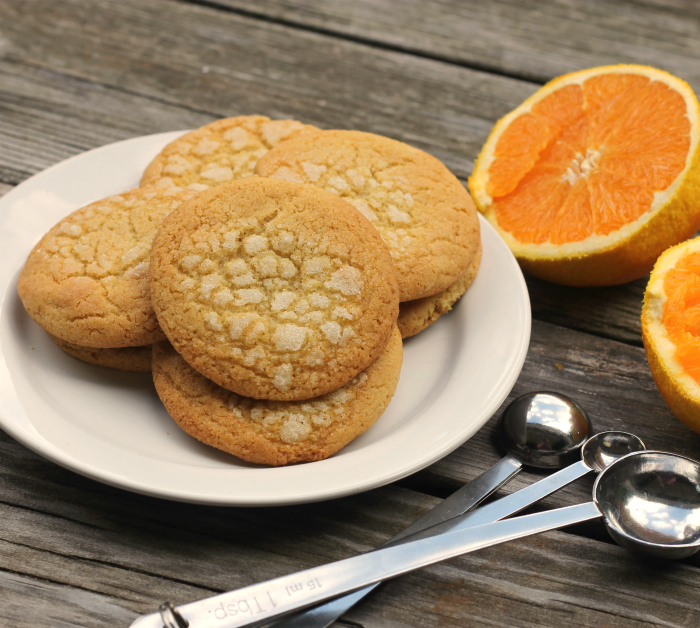 Such as these orange and ginger cookies. I have made scones before with orange and ginger and we loved the combination of these two flavors. So I have had these orange and ginger cookies on my mind for some time now. These are a simple cookie to make, creaming the butter and sugar together like you do with most cookies. But if you look at the top of these cookies you will notice that they have a “crackling effect” on top. 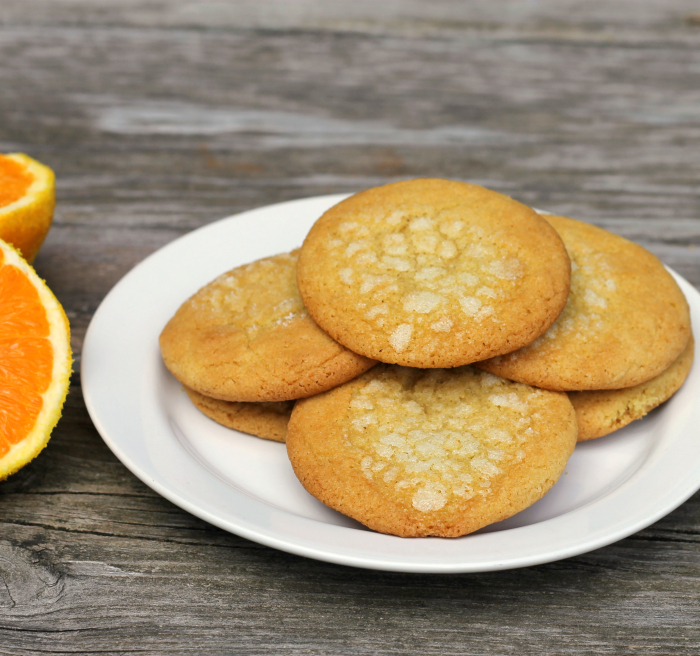 Here is what you need to do… dip the top of the cookies in orange juice and then sugar before you bake them. I love the way that this extra step make the cookies look and plus it adds a bit more flavor to each cookie. 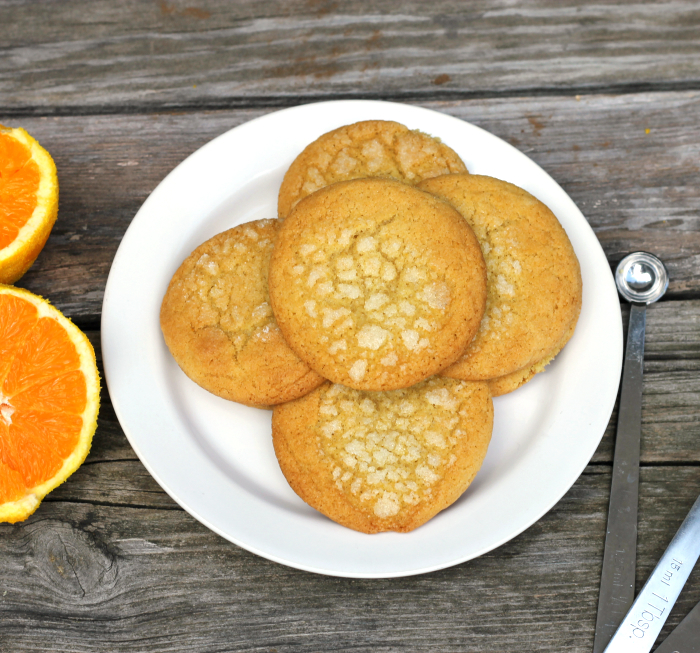 So if you like a nice chewy cookie, like the taste of orange, and like the taste of ginger these are the cookies to try. Using an electric mixer, cream together the sugars, butter, and zest, until fluffy. Add the orange juice and blend in. Mix in one egg at a time, mixing well after each egg. Sift together the flour, soda, ginger, and salt add to the butter sugar mixture and beat until well blended. Place the 2 tablespoons of sugar and orange juice in separate bowls and set aside. Roll the cookies into small balls, about the size of a walnut. First dip the top of the cookie into the orange juice and then into the sugar. Place on a ungreased cookie sheet with the sugar side facing up. Place in a preheated oven and bake for about 10 minutes or until edges of cookies are lightly browned. Take out of oven and place the cookie sheet on a cooling rack for a few minutes. Remove the cookies from the cookie sheet and place on the cooling rack and continue to cool until completely cooled. Store in an air tight container. Yum! These look great! 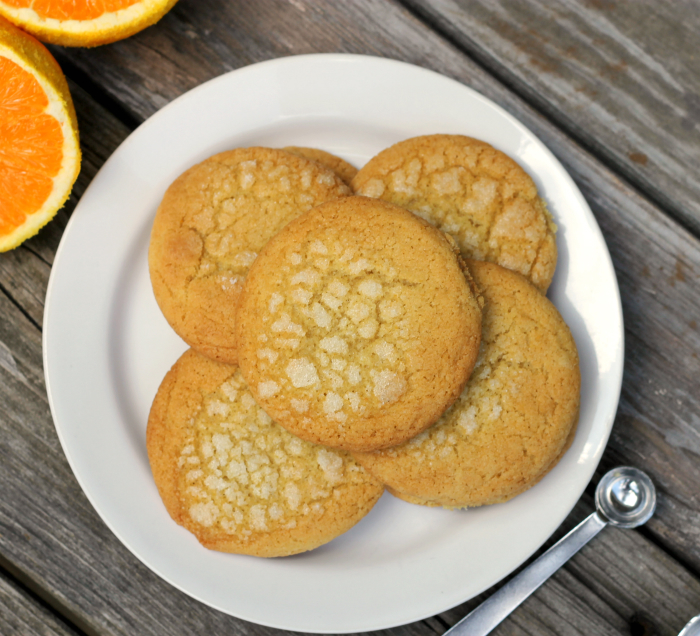 I love the flavor combination of orange and ginger, and I love that little tip about dipping the cookies for the crackle on top!